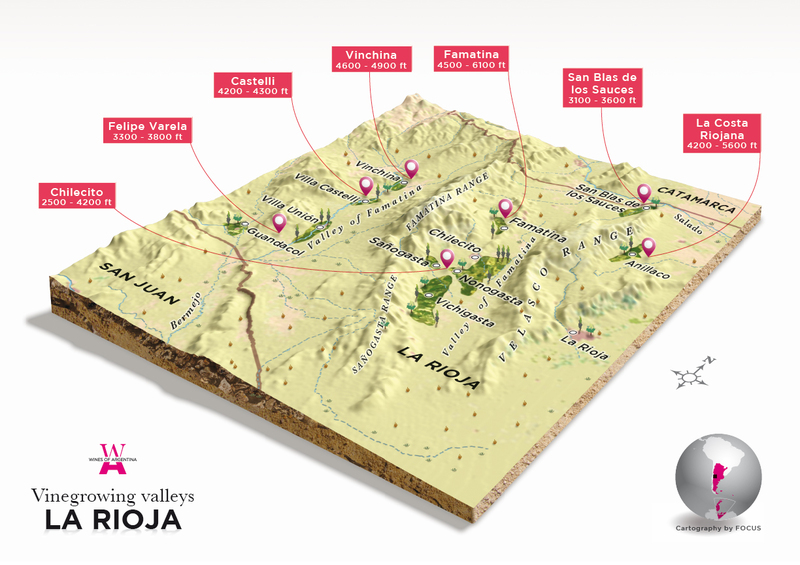 La Rioja has more than 17,300 acres of vineyards, located mainly in small irrigated valleys to the west of the province, between the Sierras de Velasco to the east and the Sierra de Famatina to the west. This province is the home to two kinds of wine growing: industrialized and traditional, the latter consisting in the home-made production of regional wines. The main varieties are white and rosé grapes, among which may be mentioned Torrontés Riojano, the typical variety of the region, which accounts for 35% of the province's vineyard acreage. Red varieties are less extensively grown and include Bonarda and Syrah.